Approved 2017 housing allowances for those called to Synod staff. Approved a sabbatical proposal for Bishop Brian Maas. Waived a constitutional provision relative to transitional ministry and availability for call for Vicar Cara Jensen. Recommended to the 2017 Synod Assembly a proposed Synod budget for 2018. Approved the Younes Conference Center in Kearney as the site for the Synod Assembly in 2019, 2020 and 2021. 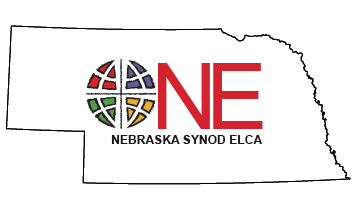 Designated that the 2017 Synod Assembly offering be evenly divided between New and Renewing Congregations in Nebraska and the Nebraska Synod ELCA Fund for Leaders. Recommended to the 2017 Synod Assembly the adoption of amendments to the Nebraska Synod Constitution as adopted at the 2016 Churchwide Assembly and offered by the Synod Constitutional Review Team. Designated the proceeds from the closure of St. Mark’s Lutheran Church in Verdon for congregational redevelopment. Rescinded synodical authorization of the South Sudanese Worshiping Community in Lincoln. Adopted a policy governing undesignated estate and bequest gifts to the Nebraska Synod. Authorized the transfer of up to $30,000 from the Synod Contingency Fund to the Synod Operating Fund. Approved changes to Nebraska Lutheran Outdoor Ministries’ Bylaws. Ratified the appointment of Rosemary Ohles to the Lutheran Family Services of Nebraska Board of Directors. Approved constitutions for two Synod congregations.